This article was produced as part of The College & University Research Collaborative, an innovative project to bring academic research and expertise to Rhode Island policymakers. Given the important role millennials will play in Rhode Island’s economic future, what can the state do to become a more attractive place for them to live and work? One promising approach is to develop a transportation infrastructure that suits the millennial lifestyle, providing flexibility and supporting the active, urban way of life these young people value. How well does Rhode Island’s transportation system meet the needs of millennials? What can the state do to make its system more millennial friendly? Smart phones and a plethora of apps also support flexible and varied transportation choices.8 Mil­lennials can access public transit locations and schedules or look up the most efficient biking or walking routes on their phones. When they do need a car, they can locate a shared vehicle through Zipcar, find a rideshare on social net­working sites, or hail a car via Uber. This system performance approach expands the nature of transportation planning. Agencies make decisions about highway funding based on not only the number of cars that can drive on a road, but also strategies for reducing congestion, pro­moting safety, and decreasing carbon emissions.11 A public transit project to increase local bus ca­pacity might also focus on issues such as what routes buses take, whether they reliably arrive at scheduled stops on time, what energy sources the buses run on, and whether they are accessible to all riders. Although the great majority of Rhode Island’s transportation funding still goes to roadways and bridges, the state has implemented some projects that align more closely with millennials’ needs. Construction is nearly complete on the Washington Bridge Bikeway and Linear Park, a pedestrian and bicycle path along the 195 Washington Bridge. 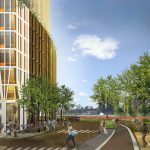 This project will provide easy access to the East Bay Bike Path from downtown Providence and India Point Park, itself a much-beloved loca­tion where millennials are drawn to exercise, relax, and socialize. A pedestrian bridge is also in the works to connect the eastern and western banks of downtown Providence. The bridge will offer a Providence River crossing for walkers and bikers between the South Water and Point Street Bridg­es, while also carving out attractive park space on either shore. As Rhode Island moves to strengthen transpor­tation options other than driving, connectivity is also a key concern. Initiatives that boost intracity connectivity would appeal to young people living in Providence and other urban cores. Price-tiered bus fares, for example, make short trips more af­fordable and thus make public transit more attrac­tive to cost-conscious millennials. Improving con­nectivity between cities is also critical. A proposed commuter rail stop in Pawtucket and Central Falls would link that area to Providence and Boston, providing a car alternative that would strengthen Pawtucket’s attractiveness to young artists and other millennials. Connecting remaining breaks in the 12-mile Blackstone River Bikeway and the “missing mile” in the 19-mile Washington Secondary Rail Trail would safeguard bikers from hectic traffic stops during their commute. It would also pro­vide recreational access to the new Blackstone River Valley National Park(i) and through the cit­ies of Cranston, Warwick, West Warwick, and Cov­entry. Another type of connectivity to consider is inter­net and cell phone access. 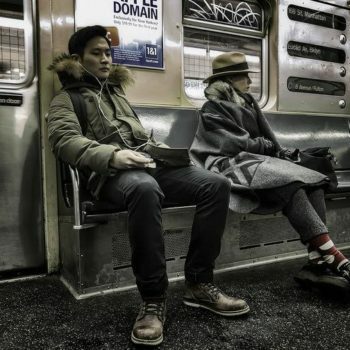 Making 3G, 4G, and wireless technology available on public transit and providing apps that allow users to easily access transportation schedules and routes will make public transit more appealing and accessible to tech-savvy millennials. These types of projects would help make Rhode Island a more connected, accessible place to live, with a robust transportation infrastructure attractive to young professionals. Bike paths, pedestrian bridges, and other transportation “alternatives” do more than contribute to Rhode Island’s charm – they offer commuting and recreational opportunities that can attract a millennial workforce and bolster the state’s economy. 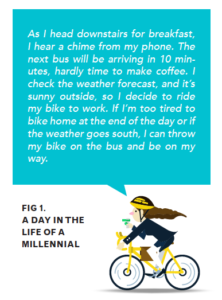 A guiding principle for developing millennial-friendly transportation should be to connect neighborhoods and cities to each other and make them accessible in as many ways possible: on foot, by bike, via public transit, and by car, whether public, private, or shared. While many cities saw an influx of young college graduates over the past decade, with increases of up to 50%, Providence grew its population of col­lege-educated millennials just 6% from 2000 to 2012.15 Kansas City, Missouri, is one city that has succeeded in attracting the educated millennial workforce, despite having no particular advantage over other cities when it comes to job prospects.16 Housing and office construction are booming as millennials move to the city for new cultural opportunities, mixed-use development, and a planned streetcar line. With the right transporta­tion infrastructure, Providence might be able to draw in more millennials as well. 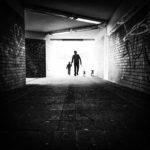 The tail end of the millennial generation is coming into adulthood and entering the workforce in droves. In order to bring their creative and economic energy to the state, Rhode Island should have a well-connected, technologically-enhanced transportation infrastructure that supports millennials’ urban, active, flexible lifestyle. The state can attract millennials by continuing its recent move toward a performance-based approach to transportation planning and allocating more funding to mass transit, pedestrian, biking, and car- and bike-sharing projects. The more choices there are for millennials to get to where they are going, the more likely they are to stay. 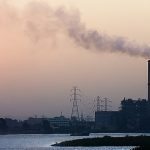 Does Exposing Polluters Make Them Clean Up Their Act? 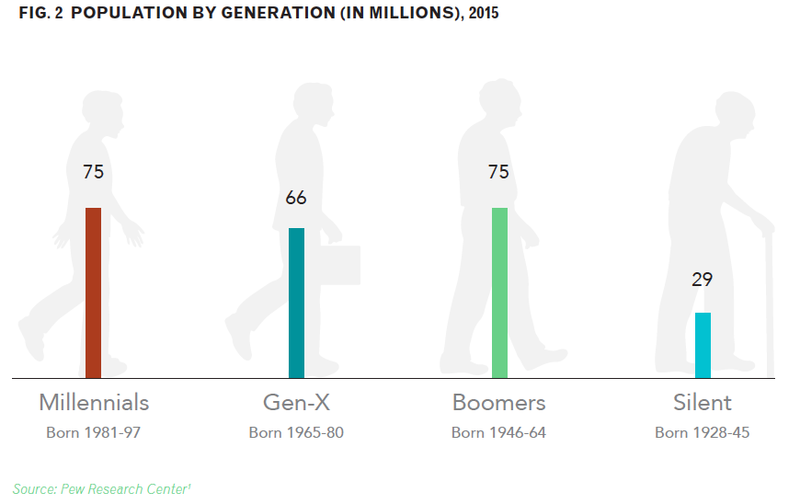 Richard Fry (2015) “This year, Millennials will overtake Baby Boomers,” Fact Tank: News in the Numbers, Washington, D.C.: Pew Research Center. G. Wayne Miller (2014) “Providence Millennials veer from their parents’ path, at work and at home,” Providence Journal, November 15. Pew Research Center (2014) “Millennials in Adulthood: Detached from Institutions, Networked with Friends,” Washington, D.C.
Sally Seppanen and Wendy Gualtieri (2012) “The Millennial Generation: Research Review,” Washington, D.C.: National Chamber Foundation, U.S. Chamber of Commerce. 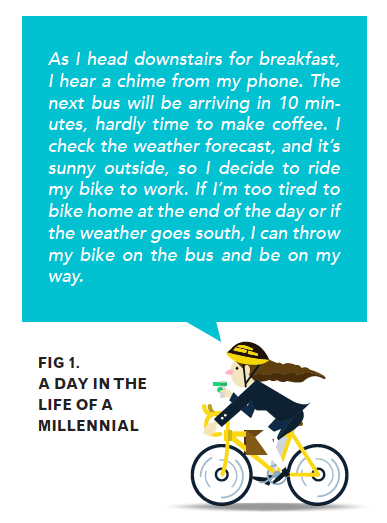 Nielsen (2014) “Millennials Prefer Cities to Suburbs, Subways to Driveways,” New York. Council of Economic Advisers (2014) “15 Economic Facts About Millennials,” Washington, D.C.: The White House. Neela Sakaria and Natalie Stehfest (2013) “Millennials & Mobility: Understanding the Millennial Mindset and New Opportunities for Transit Providers,” Washington, D.C.: Transportation Research Board, National Academies. Tony Dutzik, Jeff Inglis, and Phineas Baxandall (2014) “Millennials in Motion: Changing Travel Habits of Young Americans and the Implications for Public Policy,” Boston: U.S. PIRG Education Fund. Rhode Island Division of Planning (2012) “Transportation Improvement Program: FY 2013—2016,” Providence, RI. Michael Grant, Janet D’Ignazio, Alexander Bond, and Alanna McKeeman (2013) “Performance Based Planning and Programming Guidebook,” FHWA-HEP-13-041, Washington, D.C.: Federal Highway Administration, U.S. Department of Transportation. Katherine F. Turnbull (2008) “U.S. and International Approaches to Performance Measurement for Transportation Systems: Summary of a Conference  September 9-12, 2007, Beckman Conference Center, Irvine, California,” Washington, D.C.: Transportation Research Board, National Academies. Federal Highway Administration (2013) “MAP-21 Fact Sheets: Performance Management,” Washington, D.C.: U.S. Department of Transportation [website accessed March 4, 2015]. 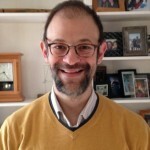 Mike Lewis (2015) “MAP-21 Educational Series – Summary Presentation,” presentation at the Rhode Island State Planning Council’s Transportation Advisory Committee, Providence, RI, January 22. John Flaherty (2014) “2014 Legislative Wrap,” Providence, RI: GrowSmartRI. Edward L. Hillsman, Sara J. Hendricks, and JoAnne K. Fiebe (2012) “A Summary of Design, Policies and Operational Characteristics for Shared Bicycle/Bus Lanes,” project no. BDK85 977-32, Tallahassee, FL: Florida Department of Transportation Research Center. Claire Cain Miller (2014) “Where Young College Graduates Are Choosing to Live,” New York Times, October 20. Joe Gose (2014) “Millennials Going to Kansas City, to Live and Work,” New York Times, August 19. 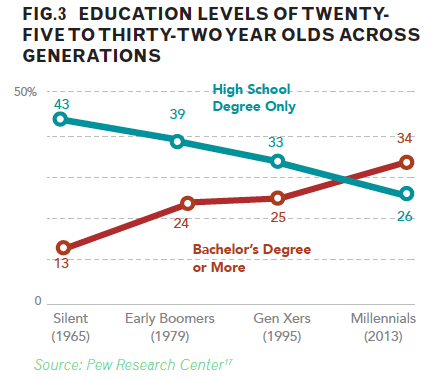 Paul Taylor, Kim Parker, Rich Morin, Rick Fry, Eileen Patten, and Anna Brown (2014) “The Rising Cost of Not Going to College,” Washington, D.C.: Pew Research Center. 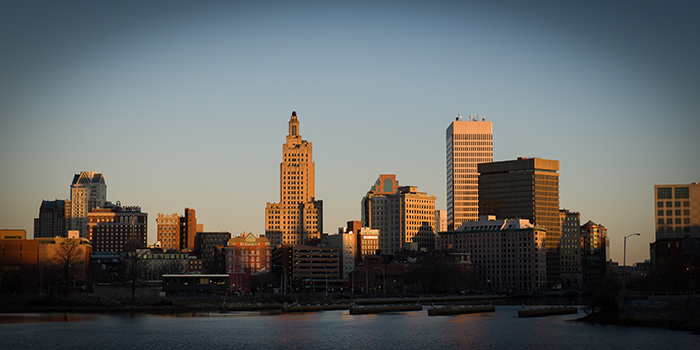 (b) About 14% of Rhode Island’s population is over age 65, making it the 11th oldest state in the nation. It also has the largest share of people 85 and older in the country. 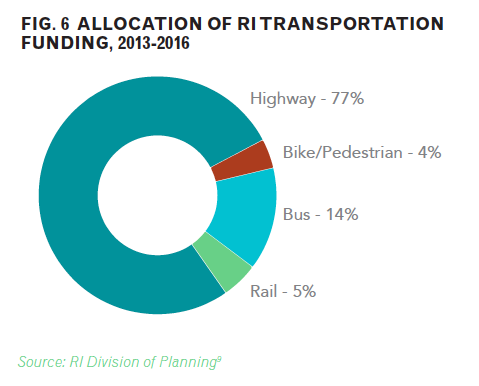 (g) Rhode Island’s future transportation priorities are outlined in the state’s four year Transportation Improvement Program (TIP).9 Inclusion of a project in the plan does not guarantee funding, but it does begin the process of prioritizing the project and potentially obtaining federal funding for it. (h) Long-term financial solvency for RIPTA continues to be a concern. Since its funding still relies heavily on gas taxes, as demand for public transit grows and private vehicle use declines, revenues will decline as well. 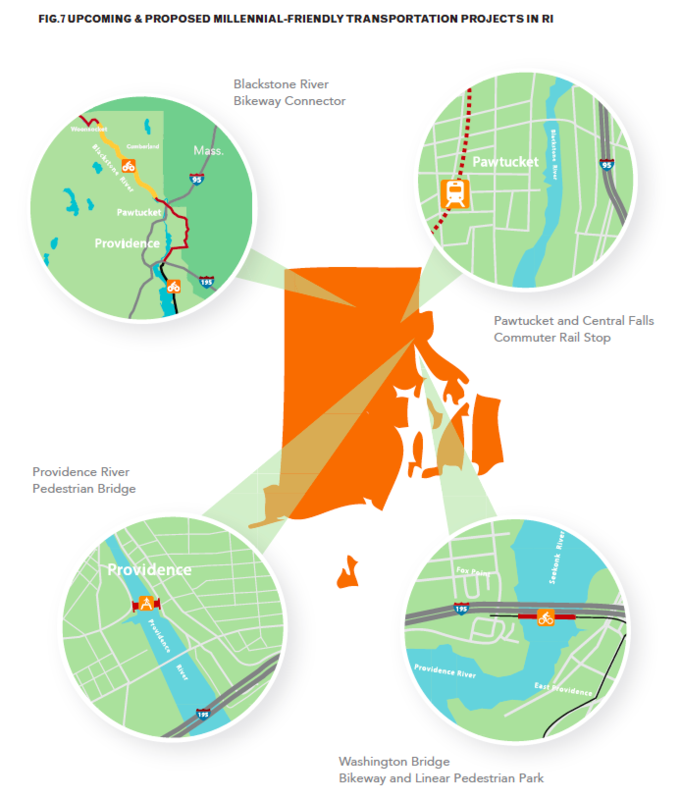 (i) Though much of the Blackstone River Bikeway is already in place, there are several key connections missing. In these spots, bikers are forced into uncomfortable situations on busy streets or the path simply disappears entirely. Mr. Harris designs, constructs, and installs unique Urban Amenities that create neighborhood identity providing for pedestrians and bicycles. He also consults on transit design and planning.